The Pima County Tax Assessor’s Office is responsible valuing real estate in Pima County. This includes both real and personal property. The Pima County Tax Assessor doesn’t create a property’s value. Home buyers do. Each real estate transaction is used to estimate home values. Each year all home sales data is collected by PIMA County. Each homes “cash value” is determined using Multiple Regression Analysis (MRA). MRA is a mathematical technique that quantifies the relationship between two or more components of the data. For property tax purposes this is sales price and property characteristics. These data relationships are used to predict cash value. Adjustments are make for amenities found in the marketplace. These include square footage, pools, garages, etc. Adjustments are applied to all properties in a fair and consistent manner. The Pima County Tax Assessor has the obligation to analyze all sales transactions. As Tucson homes are sold the transaction is filed with the Pima County Recorder. The Pima County Assessor then determines the cash value as of January 1 of the following year. Calculations used by the Pima County Tax Assessor are dictated by the Arizona Department of Revenue. Property taxes are evaluated and reset each year. But the “assessment year” isn’t a year at all. It is actually longer. Specific valuation timelines are detailed on the Pima Country Tax Assessor website – Notice Information page. From beginning to end the process takes roughly four and a half years. Timelines are governed by both Arizona Revised Statues and the Arizona Department of Revenue. Much of the Pima County Tax Assessor’s time is incurred collecting sales affidavit data from Pima County Records. Data for “home sold prices” reflects the value of all the real estate in an area. 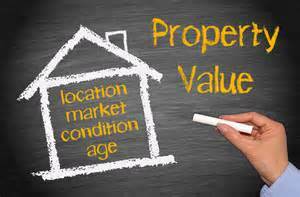 Usually, real property tends to appreciate in value. But when the housing market declines, full cash values will drop. Drop – But How Fast? A frequent question from home owners is why doesn’t the full cash values reflect the current real estate market? Answer? The length of the process. Two and a half years are required to collect the sales data. Then 4 more months are required to analyze the date. After that, notices are sent to home owners. The State of Arizona is unique in that it uses two types of property values for Pima County property tax purposes. The Pima County Tax Assessor must calculate both. 1) Full cash value which is the value placed on the exact property by the Assessor. 2) Limited value which is determined by applying a statutory formula for a specific tax year. The limited value rises each year until it equals the full cash value. The assessed value derived from the limited value and is the basis for computing primary taxes. Primary taxes fund the maintenance and operation of school districts, cities, community college districts, counties, and the state. The assessed value is derived from the full cash value. It is the basis for computing secondary taxes. Secondary taxes are applied to bonds, budget overrides, and special districts, such as fire, flood control, and other limited purpose districts. OK, so that is likely to be TMI regarding how the Pima County Tax Assessor determines property tax values. However, it is something many of our Tucson Real Estate clients want to know. Keep in mind that property “cash values” are adjusted each year. And if you believe your property taxes don’t reflect the Tucson real estate market in your area you can appeal. The Pima County Tax Assessor office provides an appeals process for Pima County home owners. Are you interested in Tucson Real Estate? Want to receive daily email updates on new listings and price changes for Tucson homes for sale? We can help!